My finished t-yarn cover turned out perfect and I love the ruffles on the duster. It works great and I plan to use the same ruffle design to make a mop cover. Using recycled t-shirts for this project worked wonderfully as the cotton is soft and absorbent. Now I just need to get busy and do some cleaning with my new tool. 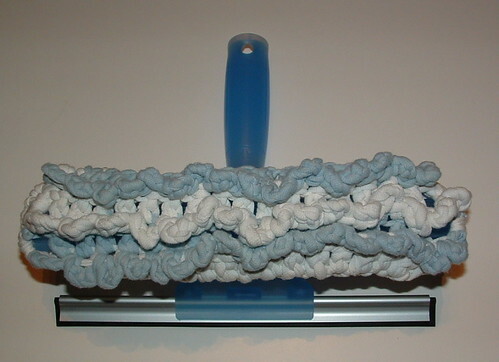 I use left over fleece to make my swiffer mops. thanks.